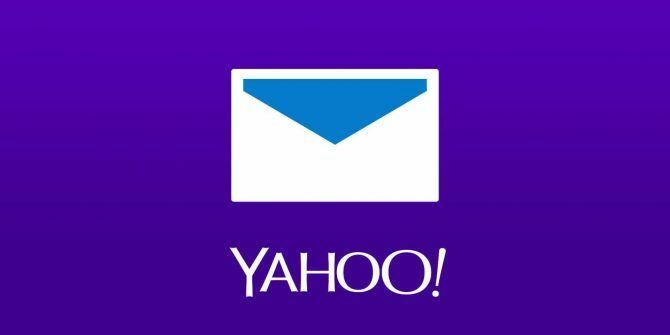 Yahoo is still one of the biggest email providers around The 6 Most Popular Email Providers Other Than Gmail and Yahoo The 6 Most Popular Email Providers Other Than Gmail and Yahoo Each email provider listed here offers different benefits, but each of these email services is also highly popular with its users. Read More . If you use Yahoo for email, it’s vital to protect your account Is Your Yahoo Mail Account Safe? 10 Ways to Stay Secure Is Your Yahoo Mail Account Safe? 10 Ways to Stay Secure If you're a Yahoo user, you should make sure your account is safe. Here are 10 items to check to make sure your account security is in order. Read More in every way you can. Of course, setting a strong password is part of this. But if you’re fed up with passwords, Yahoo offers another way to sign in to your account. It’s called Yahoo Account Key. Download any of Yahoo’s mobile apps. Yahoo Mail works fine, but you can also use Yahoo Finance, Yahoo Messenger, or others. On your desktop, visit your account settings. You can open them by clicking your name in the top-right corner of Yahoo, then choosing Account info. Select the Account security tab, then choose See how it works under the Yahoo Account Key header. You’ll see a list of mobile devices you’re signed into your Yahoo account with. Click Send me a notification next to the one you want to use. Confirm the operation by clicking Yes, send me a notification. You’ll get a notification on your phone from your Yahoo app. Tap Yes to confirm it. Back on your desktop, click Always use Yahoo Account Key to set it as the default login method. Now when you want to sign in to Yahoo, you’ll get a notification on your phone. Confirm it and you’re in. Take care when using this feature. If someone attempts to break into your account, it’d be pretty easy to accidentally tap Yes. Also, we recommend you keep a passcode on your phone so that your email has an additional step protecting it The Pros and Cons of Two-Factor Authentication Types and Methods The Pros and Cons of Two-Factor Authentication Types and Methods Two-factor authentication methods are not created equal. Some are demonstrably safer and more secure. Here's a look at the most common methods and which ones best meet your individual needs. Read More . Do you like this phone sign-in or do you prefer to stick with a password? Let us know your preference in the comments!